By now it has become a fairly well-known information that Kia, the popular South Korea-based carmaker, is planning to launch a handful of cars in India in coming future. It’s said that the company has some really aggressive plans for our car market and will launch models that have been tailor-made to suit the demands of the Indian consumer. 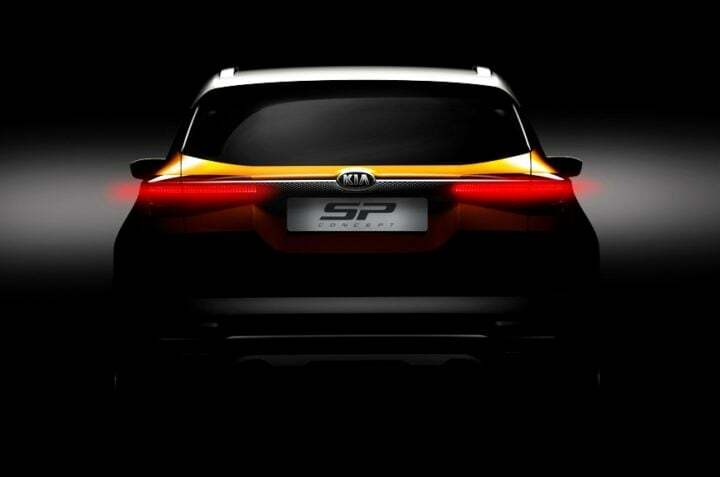 Ahead of making its official public debut at the Auto Expo 2018, the company has released the first-ever teaser images of the Kia SP Concept that will make its global debut at the fast-approaching motor show. Like we said, the manufacturer plans to launch India-specific cars in our country. These will include a small sedan and a small SUV. 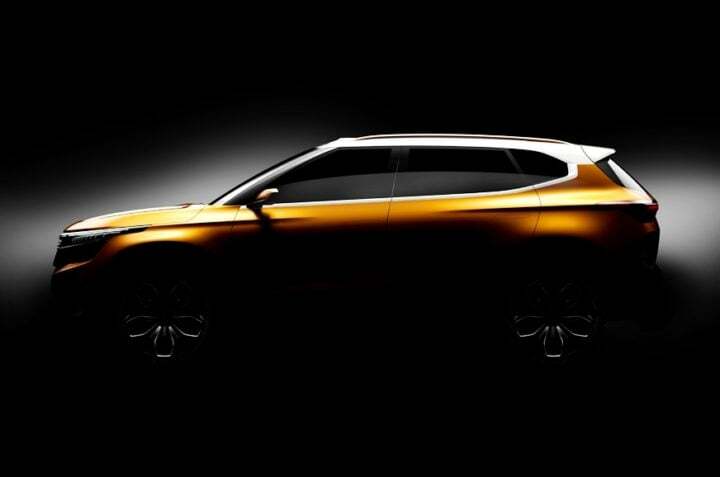 The Kia SP Concept that has been teased today will spawn a Hyundai Creta rival. It will measure more than four-metres and the upcoming B-SUV is likely to benefit from Kia’s traditional strength of offering a really modern design and along with a long list of features. From the looks of it, the upcoming SUV concept will offer a really sporty stance along with many design touches befitting of a sporty sedan. The front-end of the SP Concept will feature sleek headlamps that are bridged together by the upper front grille. These headlamps stretch back all the way to almost the middle of the front fenders. The headlamps are flanked by large air scoops. In the side profile, the SP Concept seems to have some bold creases and fairly taut surfaces. The fenders seem to be pretty muscular and the the car gets big alloy rims with petal-like design. Other design highlights include sleek wing mirrors, a small DLO area, chrome beltline and bold shoulders. The roofline tapers slightly towards the rear. The rear is characterized by slim wraparound taillamps that are bridged together by a thin chrome strip on the tailgate. The rear will also have a faux skid plate to ensure the car looks sufficiently rugged. The roof, rear spoiler and roof rails are coloured in a contrasting shade. The production-spec version of the Kia SP Concept is likely to launch in late-2019. The car will be locally manufactured at the company’s facility in Anantapur district of Andhra Pradesh.